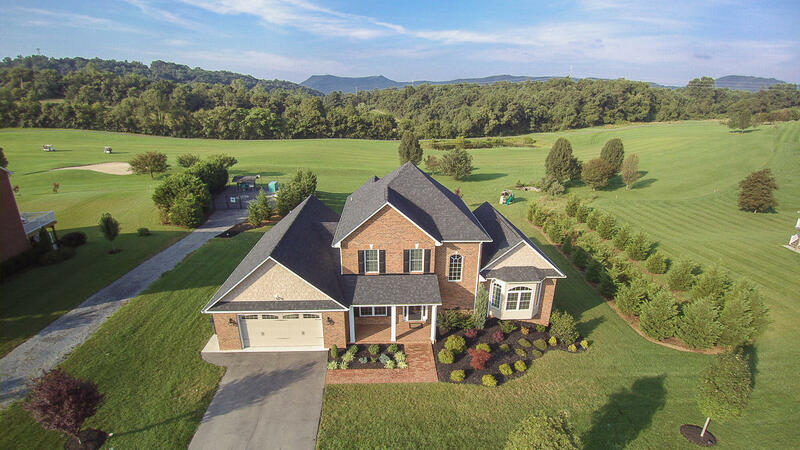 Beautiful, executive home on golf course features site-finished oak hardwoods throughout w/inlaid cherry accents; soaring ceilings & walls of windows, 8' tall doors, kitchen w/soft close cherry cabinets, all GE St. Stl. appliances, granite & pantry; gorgeous master suite w/laundry & guest rm on entry; 9' ceilings upstairs w/2 guest rooms & Laundry Rm overlooks Great Rm & Fairway. LED lights. Basement framed for finishing; Garage w/rack system.